Uzbekistan and Kazakhstan have agreed on joint projects in the fields of transport, logistics, tourism and industrial cooperation, Trend reports via Uzbek media. The meeting between the presidents of Kazakhstan Kassym-Jomart Tokayev and Uzbekistan Shavkat Mirziyoyev was held in the Kuksaroy residence in Tashkent. Tokayev arrived in the capital of Uzbekistan on his first state visit at the invitation of Mirziyoyev. "We highly appreciate the fact that your first state visit as president of Kazakhstan was a visit to Uzbekistan. We see a clear manifestation of commitment to further deepen the strategic partnership between our countries by that. For us, Kazakhstan is a close neighbor and strategic partner. We are pleased with the positive dynamics all areas of cooperation", Mirziyoyev said. Tokayev, in response, thanked for the invitation and welcome and expressed confidence that the negotiations would be fruitful. "I fully agree with your assessment of the quality and practical content of cooperation between our countries. You, and the first President of Kazakhstan, Nursultan Nazarbayev, have brought interstate relations to a completely new level. I consider it my task to maintain these rates. 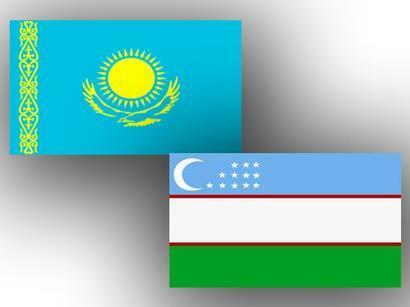 In Kazakhstan, there is a very high need for cooperation with fraternal Uzbekistan," Tokayev stressed. During the meeting, the heads of state discussed the prospects for further strengthening bilateral relations of friendship and good neighborliness, cooperation in the field of trade, transport, industrial cooperation, tourism and other areas. An exchange of views took place on regional and international issues of mutual interest. The parties confirmed their mutual desire to reach the level of $5 billion of trade in the coming years. The Intergovernmental Commission on Bilateral Cooperation between Uzbekistan and Kazakhstan was tasked with expanding the range of trade relations, finding and developing new long-term forms of economic cooperation. This will contribute to strengthening and building up mutually beneficial economic cooperation, implementing new promising projects in the field of trade, investment, logistics, creating integrated industrial technology parks, research and innovation clusters and free economic zones (FEZ). The sides also considered the issues of strengthening peace and security in the region, helping to resolve the situation in Afghanistan. The meeting reaffirmed the unity and proximity of the two countries' positions on regional and international agendas.